When will be On the Spot next episode air date? 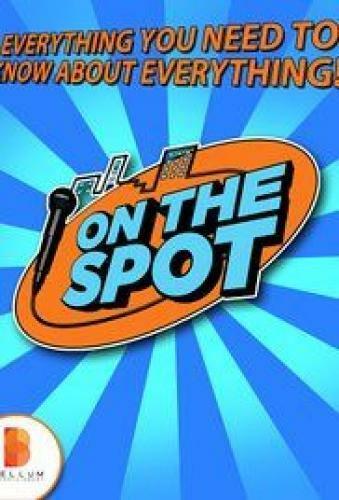 Is On the Spot renewed or cancelled? Where to countdown On the Spot air dates? Is On the Spot worth watching? Everything You Need to Know About Everything! Can you answer questions On the Spot? Each episode of On the Spot is a lightning fast game of entertaining trivia. The answers will amaze you. Test your knowledge with questions like these. Can a cow have an accent? Which came first, the color orange or the fruit? As a kid, did Napoleon hate France? Was the name Google an accident? Who got the world's longest standing ovation? For the surprising answers to these questions and hundreds more, catch On the Spot every week. It's quite simply everything you need to know about everything. Check your local listings. Odd acts in traveling sideshows; how long it takes to feel the effects of caffeine; the origins of Wall Street. The first flying device that could carry people; doomsday prophecies; a theory involving water. What a Jacob's ladder is; ways to keep pesky insects out; why fluoroscopes were a bad idea in shoe stores. The amount of neurons in the human brain; oddities in geometric figures; an extreme sport brought on by a California drought. On the Spot next episode air date provides TVMaze for you. EpisoDate.com is your TV show guide to Countdown On the Spot Episode Air Dates and to stay in touch with On the Spot next episode Air Date and your others favorite TV Shows. Add the shows you like to a "Watchlist" and let the site take it from there.